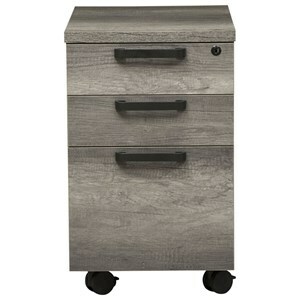 Store important papers or documents with this file cabinet. Multiple sized drawers ensure you can store your items where they fit best. 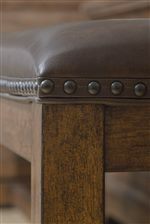 A beautiful wood finish makes this piece equal parts function and fashion. The American Attitude File Cabinet by Samuel Lawrence at Colder's Furniture and Appliance in the Milwaukee, West Allis, Oak Creek, Delafield, Grafton, and Waukesha, WI area. Product availability may vary. Contact us for the most current availability on this product. American Attitude creates a warm, traditional look in your home with a farmhouse appeal. Wood planks and industrial hardware blended with rounded molding and sophisticated details creates a look that can be formal, casual and always in style. 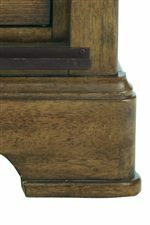 The American Attitude collection is a great option if you are looking for Industrial Traditional furniture in the Milwaukee, West Allis, Oak Creek, Delafield, Grafton, and Waukesha, WI area. Browse other items in the American Attitude collection from Colder's Furniture and Appliance in the Milwaukee, West Allis, Oak Creek, Delafield, Grafton, and Waukesha, WI area.